Facebook video and Facebook Live will attract the most attention from marketers, but not before they identify a person with a robust following to participate in an engaging campaign across either platform. Believe it or not, Facebook is the answer for marketers. You heard that right—the once-clogged feed of engagement announcements, photos of babies on vacation and birthday wishes is the next frontier for brands reaching their audience in compelling ways. Creating an effective Facebook strategy needs to be an essential focus, and with influencer marketing now becoming a staple, huge opportunities exist for brands that invest at the intersection of these two complementary approaches. Facebook video and Facebook Live are the two main products that will attract the most attention from marketers, but not before they identify a person (or animal, for that matter) with a robust following to participate in an engaging campaign across either platform. Some industry experts say we are living in a post-dot-com age where “homeless media” is the future of content publishing. This rise of a new kind of publisher that doesn’t require a homepage or an application and syndicates content through social media and other channels is opening up a plethora of voices and content–think Arsenic TV, NowThis and BuzzFeed. While Facebook may not provide quick-witted memes or cuts of hilarious videos like other platforms, it can take brands to the next level. All you need is a little strategy and a few hot influencers. So what is Facebook video anyway? Facebook video is essentially video content directly uploaded to Facebook for page consumption and sharing. Interestingly enough, Facebook video is four times more shareable than YouTube content and is given five times more reach than standard photo posts. Therefore, developing an effective video content strategy on Facebook should be an essential tactic for marketers. While creating video content can often be expensive for a brand, influencers can single-handedly create multiple pieces of video content and offer distribution for marketers. Paid distribution on Facebook is extraordinarily affordable for video at $0.85 to $2, so it’s easy to take the top-performing pieces that influencers create and give them a push. This content allows you to repurpose media that contains a familiar face that can later be used for a content strategy on Instagram, Twitter, blogs, newsletters, etc. And what about Facebook Live? Periscope and Meerkat quickly burst on to the scene last year, increasing the opportunities to bring users into real-time, unadulterated content experiences. Now that Facebook has entered the picture, the game is on the brink of change. Facebook is able to leverage its social graph to notify users when their friends are tuned in to live streams. Users can also send invitations to friends to accompany them in these viewing experiences, making streaming more shareable while enticing a sense of community. 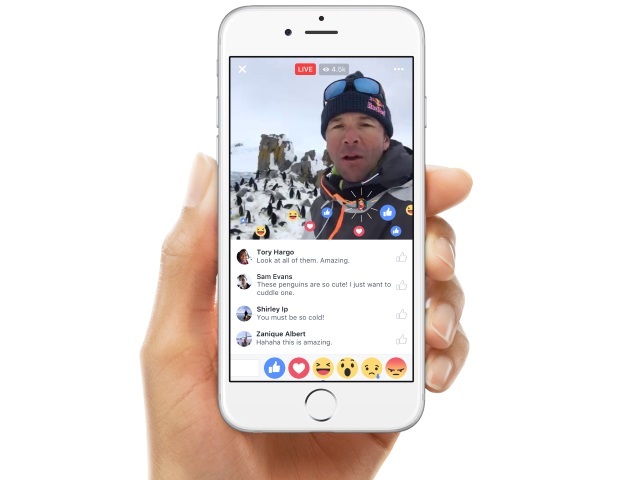 Furthermore, Facebook Live streams generate 10 times more comments than standard videos. By pairing influencers, Facebook Live offers marketers the ability to create daily, weekly and even monthly episodes often for a particular audience. If created properly, this is not unlike watching live TV where the influencers are the actors/actresses. Marketers have the opportunity to impart their messaging via native sponsorship of influencers’ channels through product placements, scripts and/or staged appearances, offering a great way to join the conversation. This allows the opportunity to harness the power of a social influencer’s network within a brand’s target demographic, in order to expose loyal, tuned-in audiences to products and services. It’s certainly an exciting time for both Facebook and influencers alike. As Facebook continues to develop and push creative ways for users to consume content, this social media platform holds a major advantage over other content consumption companies in the fact that it is inherently social–a user goes to Facebook to share YouTube content, not the other way around.